North Korea leader Kim Jong Un and President Trump shake hands at the conclusion of their meetings at the Capella resort on Sentosa Island, in Singapore, on June 12. "At the same time, we also know that China is providing North Korea with ... considerable aid, including money, fuel, fertilizer and various other commodities. This is not helpful!" he continued. Even so, Trump said he believed his relationship with North Korean leader Kim Jong Un was "a very good and warm one" and referred to "China's great President Xi Jinping." The Trump statement also said Washington had "no reason" to resume the war games with South Korea that Trump agreed to suspend in June at the Singapore Summit with Kim. "Besides, the President can instantly start the joint exercises again with South Korea, and Japan, if he so chooses. If he does, they will be far bigger than ever before," he said. Those remarks seemed to contradict Secretary of Defense Jim Mattis, who told reporters on Tuesday that "We have no plans at this time to suspend any more exercises." Chinese foreign ministry spokesperson Hua Chunying responded Thursday to the latest series of tweets, calling them an "irresponsible distortion of facts and logic," Reuters reported. 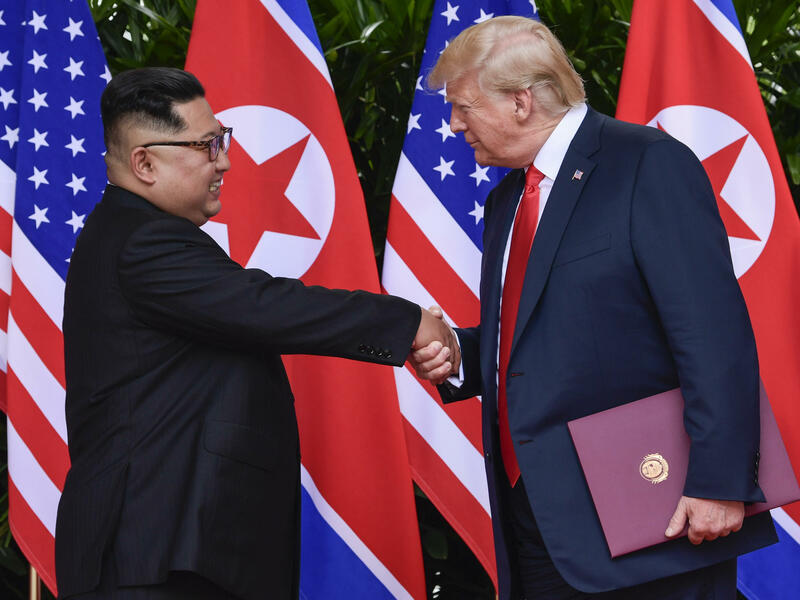 After the conclusion of the June summit, Trump declared that North Korea was "no longer a Nuclear Threat." In a news conference that capped the historic meeting with Kim, he noted past U.S. diplomatic failures with North Korea, saying, "Honestly, I think he's going to do these things. I may be wrong. I mean, I may stand before you in six months and say, 'Hey, I was wrong.' "
Soon after the summit, reports emerged that North Korea was expanding a ballistic missile production facility and building more intercontinental ballistic missiles capable of reaching the United States. On Friday, Trump tweeted that he had asked Pompeo not to attend a planned meeting in Pyongyang "because I feel we are not making sufficient progress with respect to denuclearization."